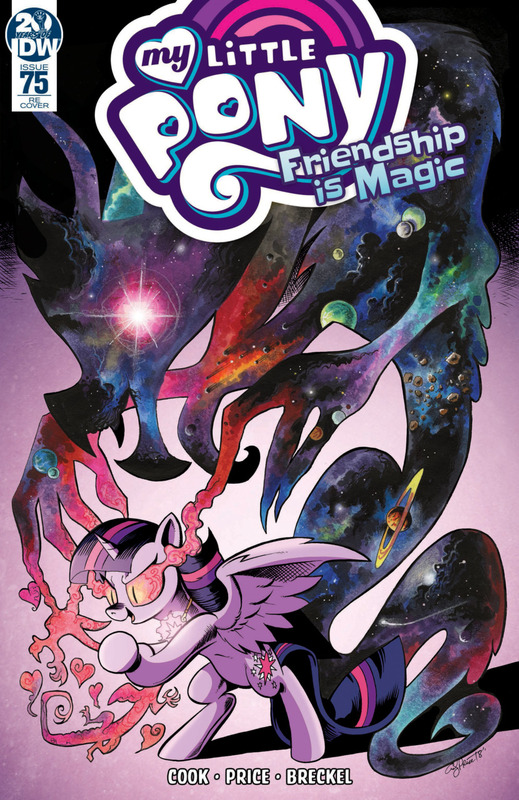 Here on this page you'll find an overview of all My Little Pony Friendship Is Magic Issue νm; 75 Comic Covers, with a total of 4 releases. 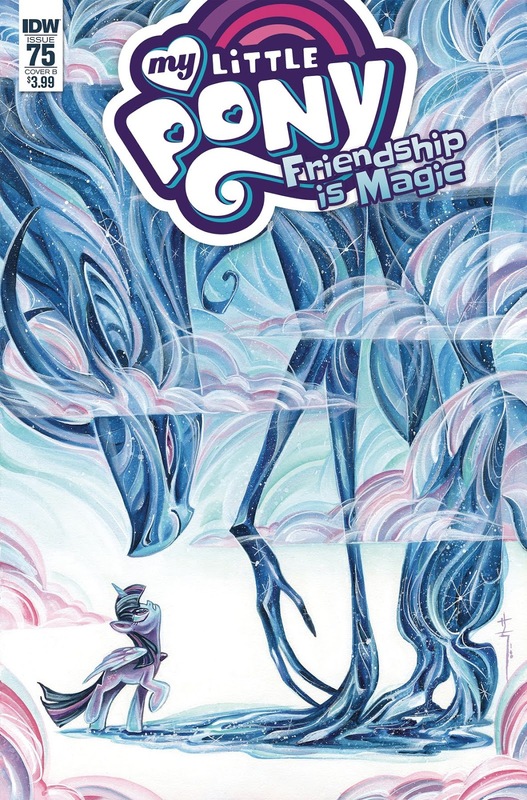 You can click on the Friendship Is Magic Issue νm; 75 Comic Covers images to zoom in or click on any of the links under the images to see more releases of that type. 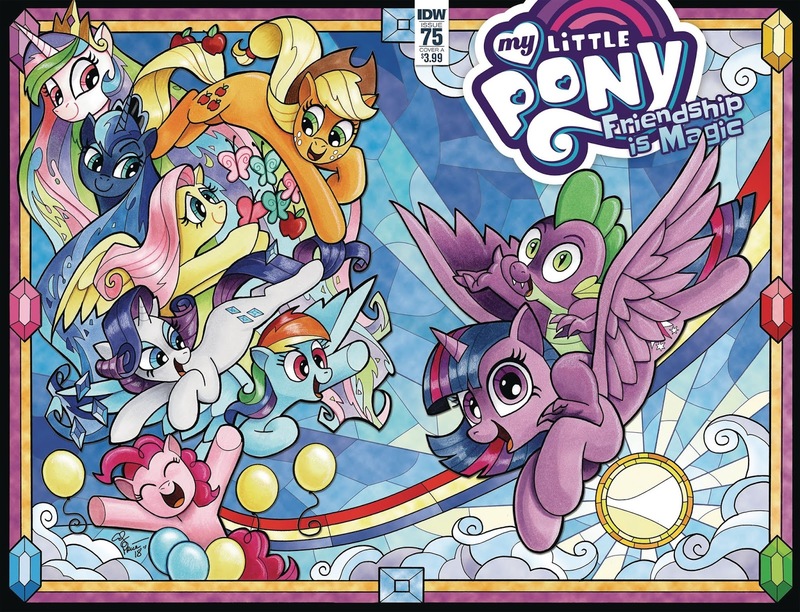 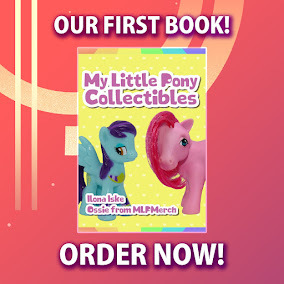 Summary: My Little Pony celebrates 75 issues of friendship and fun with this double-sized adventure! 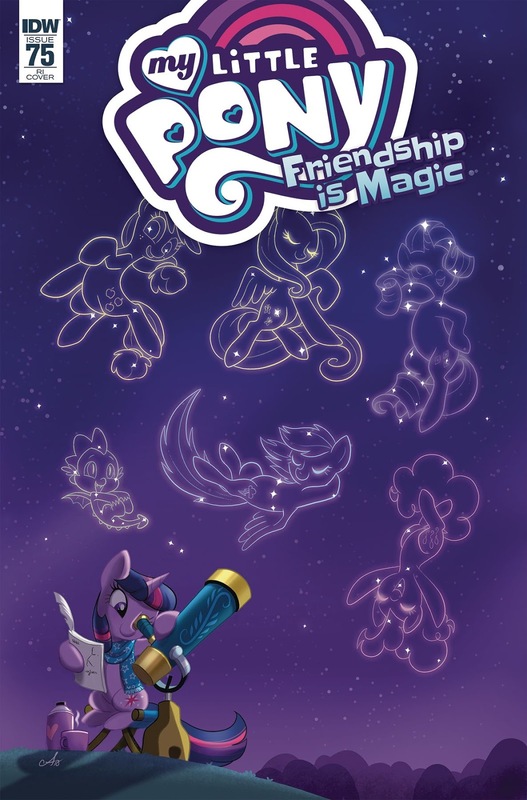 When a chance purchase leads to a legendary quest for a missing constellation, the ponies reach for the stars and find themselves in the path of their most galactic villain yet... the chaotic Cosmos!